It is NOW the FALL of 2014 and I still have the disdain for this drug I did 4 years ago. Has Singulair been prescribed for your child to help their asthma, aid in the prevention of exercise-induced asthma or ease their allergic rhinitis? I know that many families swear by it's efficacy. Has your doctor thoroughly gone over the possible side effects of this medication including the less common side effects which are listed in the singulair documentation? I know mine DIDN'T. If I had, maybe we could have avoided the bad dreams, fits of rage and over the top, full blown screaming, hitting, out of body experience my child seemed to be living as he melted down in a Salt Lake City airport boarding area at the age of 4. As I was recovering from the 'What kind of mom am I' guilt, a friend reminded me that at least it ONLY took me 10 weeks to figure out why my child was becoming someone I didn't recognize. Before deciding to use this medication for your loved one, make sure you are mentally prepared to deal with what may come your way. Listed below is just a small sampling of side effects listed in the 'less common side effects that have happened with SINGULAIR' section of your patient information flyer. Sadly, there are many others. Respiratory disorders: cough, nasal congestion, sinusitis (inflammation/infection of the sinuses), upper respiratory infection, rhinitis (runny nose), flu, bronchitis, wheezing, pneumonia, skin and subcutaneous tissue disorders: rash (dermatitis), eczema, urticaria (hives), pruritus (itch), angioedema (swelling beneath the skin), erythema nodosum (disorder of fatty layer under the skin - reddish, painful, tender lumps usually located on the front of the legs below the knees). Disorders including: Cardiac, musculoskeletal, Digestive/Gastrointestinal, and Neurological/nervous; dental pain, ear problems, ear pain and eye problems. For more information, be sure to visit http://www.singulair.com/ and read both the Patient and Prescribing information in case changes have been made since this list was compiled. Here are a few more websites to visit when compiling your research. 2. 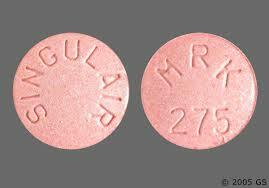 This link investigates the "Singulair side effects...hype or hazard". Here's my final bit of advise. Do your research. Research a little more. Remember, no one is as passionate about your kids as you are. Excellent blog very nice and unique information related to Singulair. Thanks for sharing this information. Here it is 9 years later and people are still NOT realizing how bad the side effects can be for some... why are the doctors NOT warning families?